Ridgewood Soils is a family owned and operated business serving Reading, PA and the surrounding area since 1996. We provide quality natural materials and organic recycling services. Residential and commercial customers come to us for value and quality. Raining a lot? No problem – we keep soil in dry storage. Need delivery? Yes, we deliver to the surrounding area. Not sure which products are right for your application? Contact us and speak to our experienced staff. Need help estimating how much to order? Use our Cubic Yard Calculator. If you don’t see it, we can make it. For bulk orders we offer discounts. Please give us a call if you have any questions on any of the products. We have one of the top teams in the area with experience with all the products we carry. We strive to provide quality products to our clients at a great value. Questions about our products or services? Give us a call at 610-373-0990. If you are a commercial customer that would qualify for a wholesale account, contact us, or apply online. 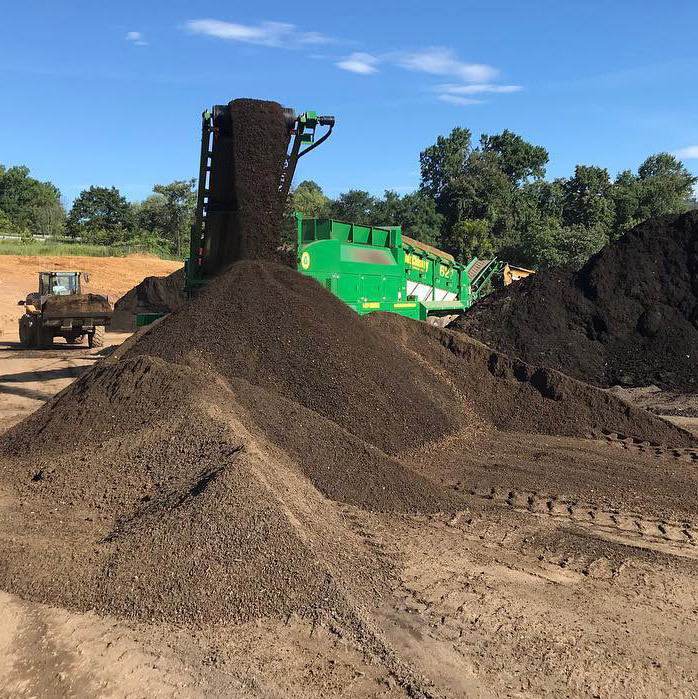 “Knowledgeable friendly staff able to give advice on seed and soil for a particular area depending on the loom you're going for and they are more than willing to haul any and all purchases to your vehicle.” W. Alex H.
“Always Great service, thank you Ridgewood.” Gregory S.
“Super affordable and compared to bagged soil and mulch – it’s a steal to buy in bulk from them! I buy mulch, soil and rocks for all my landscaping needs.” Kate G.